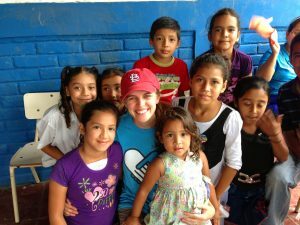 Molly Erickson travels the world with Convoy of Hope, giving those of less-fortunate circumstances a new start at life. But for Erickson, her new start began at OTC. Born and raised in Springfield, Erickson graduated from Glendale High School in 2004. She used the scholarship obtained through the A+ program to take classes at the college. It took her nearly a decade to complete her educational goals, but Erickson never gave up. The hard work paid off. Erickson graduated from OTC with an associate of arts and transferred to Drury, receiving a bachelor’s degree in Human Services with an emphasis in leadership, and master’s degree in nonprofit communication. With these degrees, she obtained the title of senior director of public relations at Convoy of Hope. Convoy of Hope is a faith-based, nonprofit organization located in Springfield that has helped more that 80 million people throughout the world. The organization provides food, water, emergency supplies, and agricultural know-how to those in need. Erickson’s job duties include both internal and external communications for the organization. She works with the media, attends speaking engagements and is the managing editor of the organization’s magazine, Hope Quarterly. With Convoy of Hope, Erickson has traveled to El Salvador, Tanzania, the Philippines and Haiti. 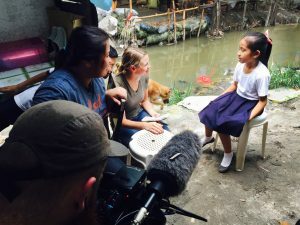 Her most rewarding experience came with assisting a Philippine child through Convoy of Hope’s feeding program. Erickson had the opportunity to sit down with the child’s family and learn about the positive impact of the program. Erickson’s educational path may have been extended, but by following her dreams, she now helps others do the same.